Following page selectors have been removed: All Posts, All Pages, Category Pages and Tag Pages. Inserts that used them will not work. But don’t worry, just recreate «Insert» and «Exclude» rules and they will work again! Check minimal system requirements: WordPress 2.8.0, PHP 5.1.0. 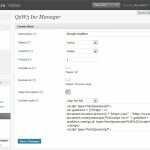 Unzip and upload `q2w3-inc-manager` folder to the `/wp-content/plugins/` directory. On the ‘Plugins’ menu in WordPress click ‘Deactivate’ plugin link. ‘Deactivate plugin’ — for simple plugin deactivation. Use it for temporary plugin deactivation if you plan to use plugin in future. ‘Deactivate plugin and delete all settings from database’ — for complete plugin deactivation. All data associated with the plugin will be deleted from database. First of all go to the plugin setting page. To begin creation of your Include click ‘Create new’ button. Include options window will appear. Description. A shot description of your code. Something like ‘My banner’ or ‘Google Analitics’. Active. Include code will be shown. Disabled. Include code will not be shown. Footer (bottom of the page). Suitable for placing any type of code. For expample this is a right place for Google Analitics code. Before page content (before WP loop). Suitable for any types of advertisement. 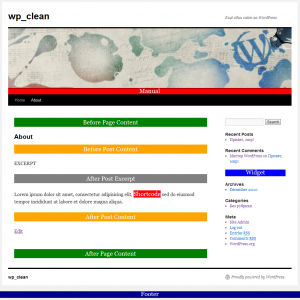 After page content (after WP loop). Suitable for any types of advertisement. Before post content. Suitable for any types of advertisement. After post excerpt (since version 2.0.0). After post content. Suitable for any types of advertisement. Widget. Suitable for inserting advertisement blocks to the sidebar. Widget must be activated on the Appearance->Widgets page. There is a sub option for Widget location — Widget title. This title is only for public pages. If no title provided, only widget include code will be displayed. Manual. This option allows you to place php function directly in your theme file. Shortcode. Insert code inside page or post content. Priority. This field determines display order of the includes placed in the same location. Field value must be integer. Includes with equal priorities are sorted by creation time. Newer includes will be displayed after older. If you set priority to 0 or leave it empty, after saving include priority value will become equal to 100. This is done to create include with priority ‘always first’ and ‘always last’. To make include always first set priority to 1 and make sure that there are no other includes with this priority in the same location. To make include always last set priority higher than 100 (for example 1000). Now all new includes with undefined priority will be placed between ‘always first’ and ‘always last’. All. That means all public pages. Front page. Whether it is posts or a Page. Sub pages also belong to the front page. To exclude subpages select `Paged pages` in Exclude on section. 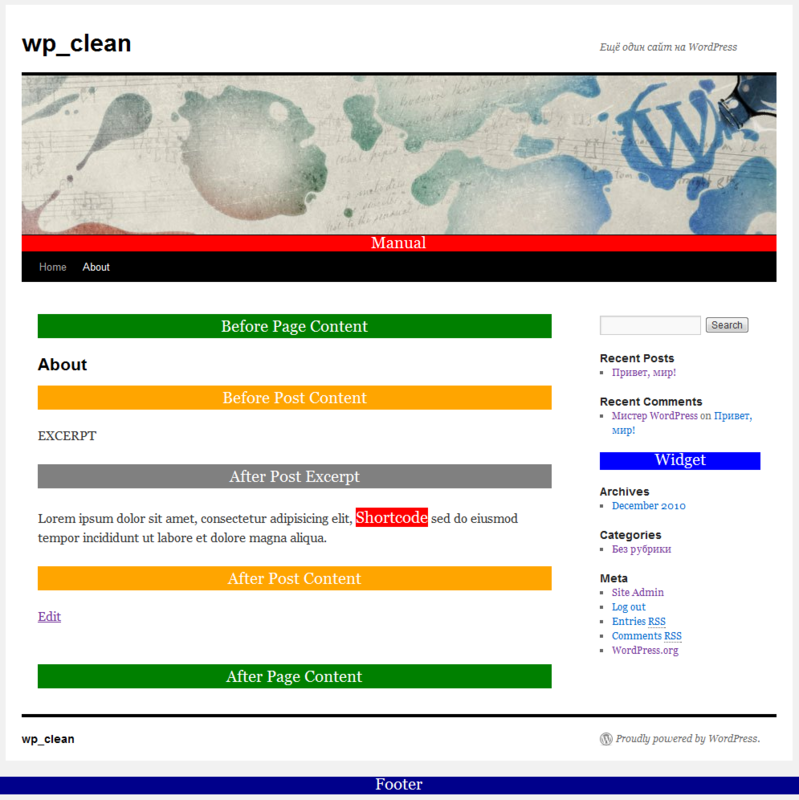 WP pages. These are WordPress Pages, not any generic webpage from your blog. Posts pages. All post pages. Date pages. These are all date-based archive pages (i.e. a monthly, yearly, daily or time-based archive). Category pages. All Category archive pages. Tag pages. All Tag archive pages. Author pages. All author pages. 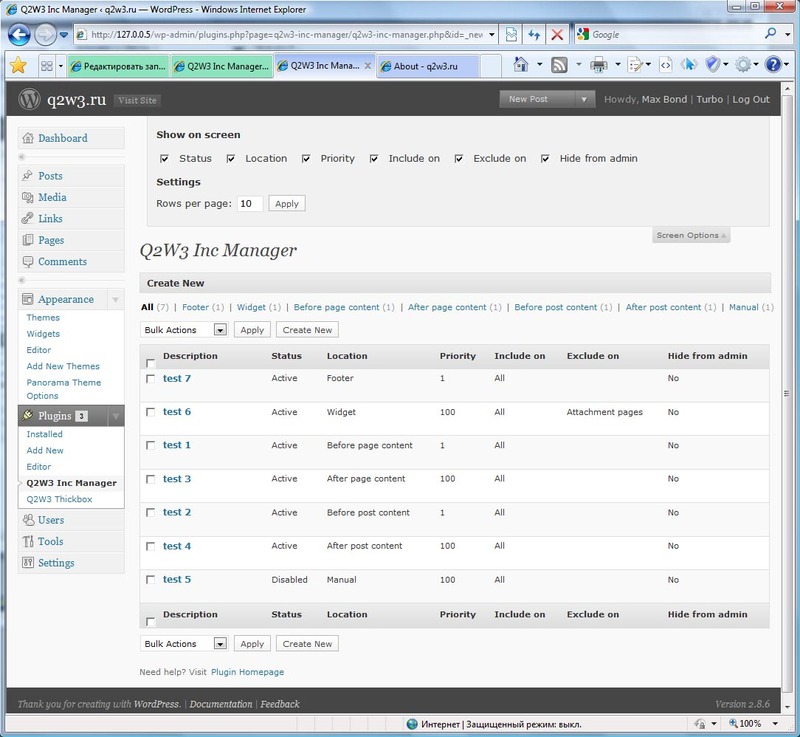 Attachment pages. All attachment pages. Paged pages. All pages being displayed as «paged». This refers to an archive or the main page being split up over several pages. Only second and subsequent pages are considered «paged». This does not refer to a Post or Page whose content has been divided into pages using the nextpage QuickTag. Search page. Any search result page. Preview page. Single post page displayed in Draft mode. Page 404. Paged displayed when ‘HTTP 404 Page not found’ error happens. Exclude on. Here you can select pages where your code CANNOT be shown. Multiple select can be done by holding CTRL key. Hide from admin. Since version 2.0 this option upgraded to Hide from user. Now you can specify user groups to hide code from. Sub option Align (since version 1.1.0). Allows you to set horizontal align of the included code. Useful for aligning Google AdSense blocks. A few words about settings page interface. You can select table columns which will be displayed and can change number of table rows per page. To do this go to Screen options menu. Also if Include options window is taking to much place you can minimize it by clicking on the window top bar (see screen shot above). How many Includes may I create? The number of Includes is unlimited. What is ‘Widget title’ option? 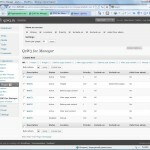 This option allows you to specify widget title for public WordPress pages. It will be displayed like Categories or Tags widget titles. If you leave this option blanc, widget will be displayed without title. I have set priority to 0 or left it blanc, but after saving it equals 100. Why? This is done to help you create Include with priority ‘always first’ and ‘always last’. To make Include always first set priority to 1 and make sure that there are no other includes with this priority in the same location. To make include always last set priority higher than 100 (for example 1000). Now all new includes with undefined priority will be placed between ‘always first’ and ‘always last’. Why Widget and Manual Includes priority is always 100 and I can’t change it? Widget and Manual Includes don’t use priority number for sorting. Don’t worry about it. In wich order sorted Includes with equal priorities? Equal priority Includes are sorted by creation time. Newer includes will be displayed after older. Fixed conflict with Find and replace plugin (Guys, why are you creating new user instance each time?!?). Improved page detection on themes with modified loop. Fixed broken links (in plugin settings page) when WordPress installed in a subdirectory. 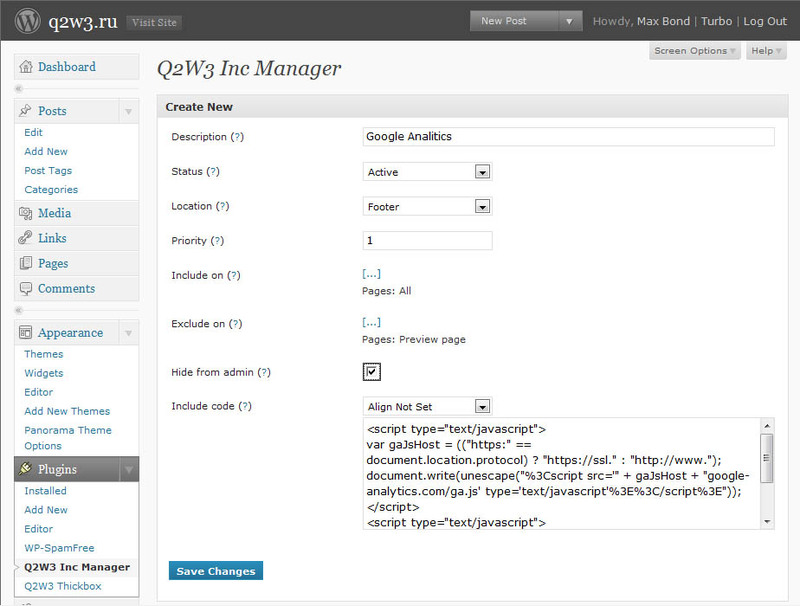 Fixed errors in WordPress MU. New. Includes with PHP code now supported. Fixed ‘Create New’ button malfunction in Opera and Firefox. Fixed ‘Parse error: syntax error, unexpected T_PROTECTED in /htdocs/wp-content/plugins/q2w3-inc-manager/q2w3-table/q2w3_table.php on line 736’. I am trying to insert this code to the HEAD but when I look at the web source code using a browser, the code is not there. Is the Insert saved correctly? Is your theme uses wp_head() function in header.php? Do you have a cache plugin installed? Yes, it is saved and active (and the location is HEADER). And I use WP Super Cache but I delete the cache when I change something. What about Insert visibility. Did you set it on all pages? Try to clear cache once again! It has to be something with my web or my theme because I have tried with another plugin (not as complete as yours) and I have the same problem. I am trying to find help in the forum of the theme. Thank you. I recommend to completely disable cache plugin while making tests! If you look at http://indonesiadetective.com/preview/. If you visit the business, technique and private changes with the code insert plug in active you can see the tabs but the slider does not load. If I deactivate the code insert plug in the tabs of course disappear but the image at the top is fine. I need the code insert plug in to make the zozo tab plug in work. My theme is a solostream theme (Enlightened). I have a top slider on every page. However this slider image stopped working. I deactivated all plug ins and reactivated them one by one. The culprit is the code insert manager. Deactivate that and the slider appears. But of course the tabs disappear. So I am writing to my theme people but also thought you may have come across this and if you could offer any advice. Basically the code insert plug in does not seem to be compatible with my theme. I don’t understand what kind of insert you are doing… Give me more info! I suppose the problem not in plugin itself, but in the way you are using it!.. Check your code! I just wanted to say THANK_YOU. This is easily the most_useful plugin i have used in a long,long time. It has simplified the process of troubleshooting specific header/footer items conflicting with plugins. I’m using WP 3.6 and when I want to add a new code insert it does nothing. Is it a bug? The plugin is working with WP 3.6. What location you are using to insert code? 1. I use surfarama theme. 2. I was creating a before post. 3. Yes, I’m using WP Super Cache. First of all try to empty cache. when I try to save or uninstall the plugin I get internal server error. How can i delete it? You can delete it from ftp or from server control panel (most of them providing file managment functions). 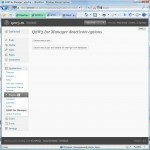 Go to wp-includes/plugins folder, find q2w-inc-manager foler and delete it. Within «selecting post» section it is not possible to choose either draft or scheduled posts. As I am working on the new post I don’t want it to be visible before I finish it properly which includes inserting script as well. Please, advice me how to add post to unpublished post (or page)? Hm… it’s a good feature to add in next version. OK. Thank you! I’ll try somehow since I am novice and hope that this will be included in new version! Hello. I’m trying to validate my WP site code, and have just realised that you can’t use special characters (specifically the ‘&’ ampersand) in the code insert HTML code to satisfy validation. I change the & to &, but when saving the insert, it just changes back. Is there a way to do this? Am I missing something? Thanks in advance. When you save & sign it remains as & in the source code too. So you should pass validation. I’ve tried it several times, and each time it reverts back to the ‘&’ symbol in the source HTML code too. Not sure what to do. How you are checking the source code? This plugin should have an option that would allow us not to load certain things while browsing website in mobile or tablet version! I have the lastest version of the plugin and wordpress installed. I can only get the code to appear on the front page. What location you are using for page inserts? Плагин для WordPress: Q2W3 Fixed (Sticky) Widget. Фикисируем виджеты при вертикальной прокрутке. © q2w3.ru. 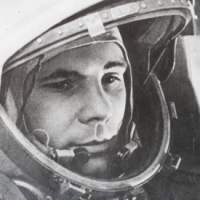 При использовании материалов сайта ссылка на источник обязательна!